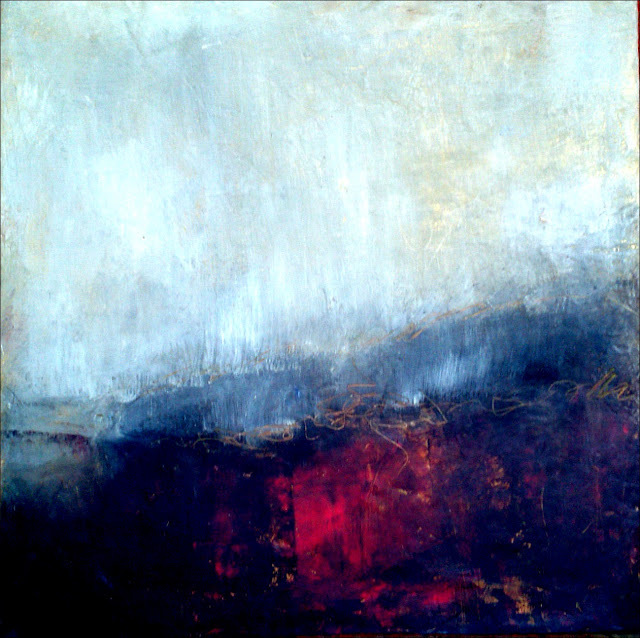 Serena Barton's Blog: Art and Soul Portland Coming Soon! Blog Roll Begins! Art and Soul Portland Coming Soon! Blog Roll Begins! Some of these folks are having giveaways so check them out and learn about their upcoming classes! All levels welcome and I'll provide lots of individual attention! 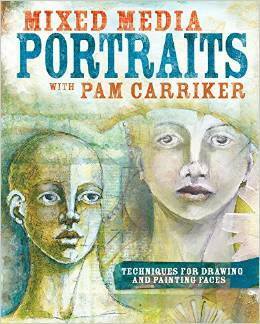 You'll leave with two or more gorgeous pieces and the knowledge to continue to explore your mystery collage creations at home. Wabi-Sabi is the Japanese art of finding beauty in imperfection and profundity in nature; of accepting natural cycles. It's simple, slow, and uncluttered, and reveres authenticity above all. 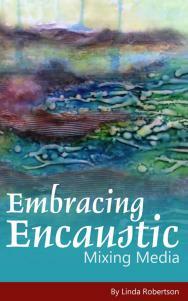 We’ll honor ourselves and go with the flow as we create a set of eloquent, mysterious, and gorgeous abstract pieces. 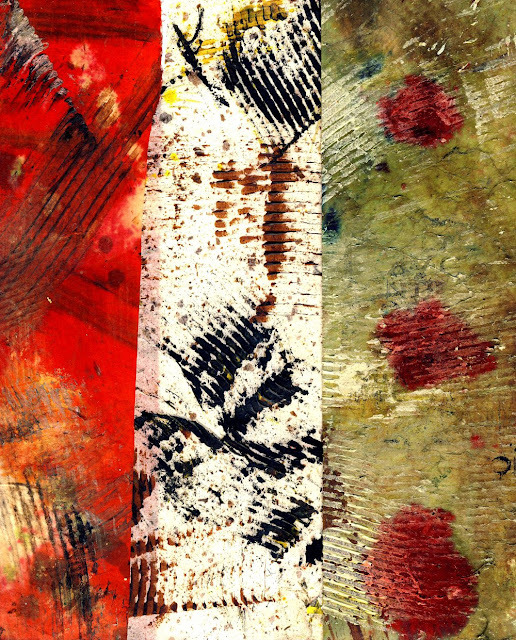 The word “abstract” doesn’t have to scare you! 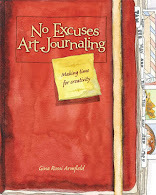 I’ll show you how to let delightful accidents lead you to creating with a playful spirit. You’ll discover the magic of beeswax in creating layered and fascinating paintings. 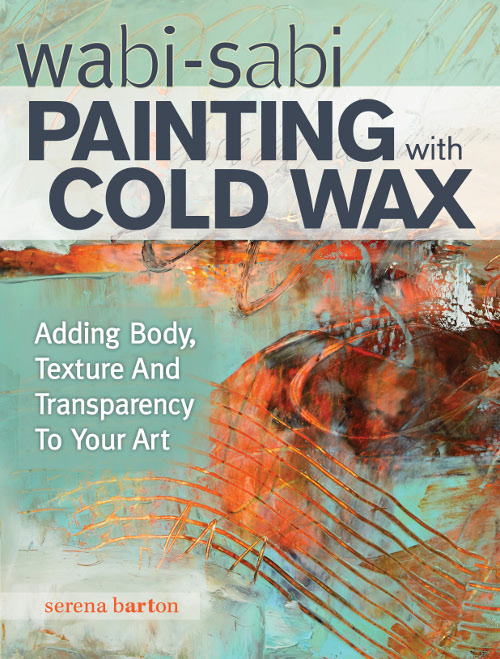 You’ll experiment with using oil paint, papers, and ephemera with beeswax to create rich, complex textures. This is a time to enjoy experimenting, adding on and scraping off, and letting your inner free spirit guide you! 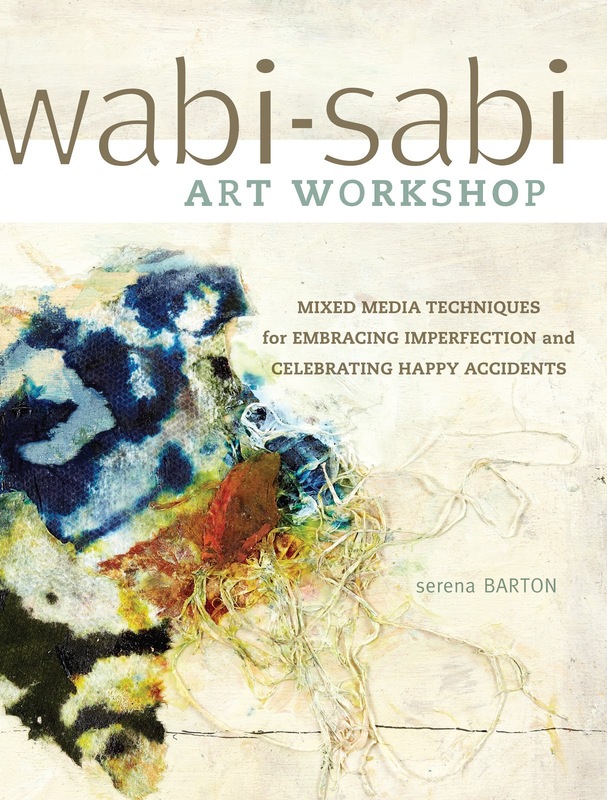 You’ll be amazed how easy it is to create gorgeous papers in the wabi-sabi style. 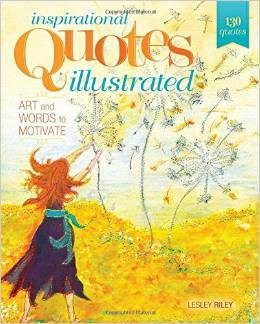 I use my paper cut or torn up for collage, for book covers, and for backgrounds. You can cover boxes with your papers and make 3-D elements with them. You'll use mulberry paper, richly colored re-inkers, alcohol ink, and acrylic paint, used teabags, rubber stamps, bleach and acrylic glaze medium. You'll learn how to make your paper both flexible and strong. You'll leave with a collection of delicious one of a kind art papers! Would you believe you can create a whole body of work in one class? You can! You'll make about nine tiny, exquisite collages, learning how to use composition, color and theme to create a variety of pieces that blend harmoniously. I'll provide individual attention and ideas as desired. You'll mount these 3” square collages on a canvas or wood panel that you have painted or papered to set off your collages. You’ll leave with your own mini art gallery: a rich, finished work of art. Leave a comment on this blog to enter my giveaway! I'll need your email in the comment so that I can contact you if you are the winner. The winner will receive two goodly-sized sheets of my hand-decorated wabi-sabi paper! 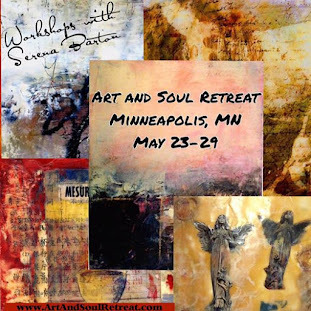 Hope to see you at Art and Soul! my email is logibbons1951@yahoo.com and I'd love to have a piece of your amazing paper. Hi Serena! I took your wabi-sabi wax class a couple years ago at A&S, and still use many of the techniques. Thank you for sharing your creativity. Pamm H.
Linda, I love your wabi-sabi pieces! I've shared your link on my wabi-sabi blog. May I share one of your photos--credited of course! I'd already signed up for my classes at Art & Soul before I became aware of your work, but I hope to take one of your classes at another time. I'm in love with your work! These look really exciting. I would love to take one of your classes. And/or win the paper! Thanks for the opportunity. My email is mitziec@verizon.net. Serena, Have a great time at A&S! I went a couple of years ago to the one in Virginia. Couldn't take as many classes as I would have liked but it was a blast! Maybe one day, again! Brand-new to your site! Looks like a fun giveaway. I'm going to my first ever A&S and am so excited! Would love your paper! Hi Serena - I done several classes with you at Art and Soul and have a fantastic time every time!!! This line up looks fantastic!!! 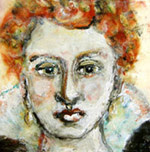 I love your paper and encaustic work especially. Having the chance to win some of your hand painted papers would be amazing!! I've been making handmade books recently and would LOVE to incorporate some of those papers in it - if I could stand to cut them up! lol! Thanks! Hi Serena. I'd be honored for you to share any of my photographs. Can I enter this fabulous giveaway from the UK? ?